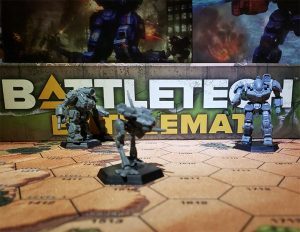 Although it is an official BattleTech product, the subject of this article does not meet the current criteria for Canon for the BattleTech universe. See the article's section on Canonicity for details. Activision's MechWarrior 2: 31st Century Combat is a 1995 computer game set in the BattleTech universe. Several editions and versions of the game exist, oftentimes with different box covers. Computer games are explicitly excluded from the list of products that contribute straight Canon to the BattleTech universe while at the same time it was stated that the IP owners are "not in total denial about these sources either"; it has also been stated that fluff from certain official, licensed products (namely certain computer games including those produced by Activision) can be assumed to be part of the shared universe as long as it is not directly contradicted, and makes sense. On this premise, MechWarrior 2: 31st Century Combat is considered to be an apocryphal product. Mechwarrior 2 is a 'Mech simulation game that is set during the Refusal War between Clan Wolf and Clan Jade Falcon which took place in 3057. The player is offered a choice to join either the Wolf Clan or the Jade Falcon Clan. A series of tutorial missions ends with the player undertaking a Trial of Position for the rank of Mechwarrior, and then joining the chosen Clan in battling their opponents across the Inner Sphere. Missions on both sides progress across the same planets in sequence; however, the missions themselves are different, taking place as it were on different parts of the battlefield, thus allowing the 'general' story to move forward, irrespective of the missions themselves. Large amounts of fluff material are written into the mission briefings/debriefings, as well as the computer database, including reflection from ComStar Precentor Martial Anastasius Focht about the Clans from his time with Clan Wolf. Other canon events are expanded upon in this manner to both provide context for the game's missions, and to advance the storyline, including a great many key characters from the Clans such as Ulric Kerensky, Natasha Kerensky, Phelan Ward, Vlad of the Wards, Vandervahn Chistu and Elias Crichell, among others. Ultimately, the Falcon ending shows the last of the Wolves being tracked down and destroyed on Morges, whereas the (canon) Wolf ending shows the defeat of the Falcons at Broken Hope on Morges at the hands of the Wolves and their Kell Hound allies. MechWarrior 2 is a telling of the Refusal War starting in the later quarter of 3057, five years after the Battle of Tukayyid. Initially in the campaign, the Jade Falcons start suffering losses against Clan Wolf, only that the Falcon losses are second-line units, despite Elias Crichell's concerns, Vandervahn Chistu guarantees that he has a plan set in motion for the Wolves. After the initial string of victories, ilKhan Ulric Kerensky assigns Phelan to leave the Clan Occupational Zone with the genetic legacy of the Wolf Clan. Eventually, the Refusal War reaches to multiple systems and at Twycross, Natasha Kerensky meets her end facing the Falcon Guards in December 3057. Eventually at Wotan, Vandervahn Cristu waits in the center of the capital city, waiting for Ulric Kerensky and his units to arrive. While mech combat happens out in the streets, Ulric does find Cristu, only to have walked into a trap as Cristu uses a targeting laser to lase Ulric's Gargoyle for volleys from LRM strikes. Ulric and his guard are then killed. The final act of the war happens in Morges. Phelan Ward is the last Warden Wolf leader left (and is in a dangerous position to lose Clan Wolf forever, as his Galaxy has the genetic material), and acquires help from the Kell Hounds. Eventually, the Wolves and Kell Hounds successfully hold out and subsequently ravage the Jade Falcon forces on Morges. Clan Jade Falcon: Initially, the player strikes a communications complex on Colmar and must defend an industrial plant at Sudeten. On Zoetemeer, he successfully destroys a dropship, and on Baker 3 he helps defend a refurbished firebase from Wolf attack. On MacDuff, he answers a distress call from a stricken Mech and returns the pilot to safety, and on Evciler, he escorts a train carrying heat sink components to a processing center, defending it from Mech and aerotech attack. In the canyons of Twycross, he destroys a Heat Sink array and escapes the subsequent detonation. On Wotan, the player destroys a convoy carrying command staff that are preparing to escape the planet and escorts a friendly convoy to a friendly firebase. On Morges, the player defends an airbase from a Wolf attack (while front-line forces are retreating after a rout from the Kell Hounds), destroys all Wolf and Kell Hound Mechs in the city of Broken Hope, and eventually destroys Dwillt Radick, and another Command Convoy fleeing the planet. Clan Wolf: Initially, the player strikes Jade Falcon holdings and installations on multiple planets, then on Baker 3, he successfully retrieves a T5 Recon Unit (a modified Tarantula). Then, he must secure a Sensor Array Dome on MacDuff, destroy a solar power array at Evciler, and capture a Falcon Command trailer at Twycross. In Wotan, the player is deployed with another unit to destroy Falcon-controlled resource centers in one major city, and later must locate and destroy a dropship with sensitive data. On Satellite Karetah, the player poses as a Falcon pilot in a stolen Mech and destroys a heavily guarded power core in an atmospheric processing unit so the Falcons cannot use the untapped resources. Eventually on Morges, the player defends an ambassador on his way to an opera theater in the city of Broken Hope and later must destroy a Falcon communications hub. Both campaigns use a non-canon framing device of following a newly minted Clan MechWarrior through various battles in the Refusal War, and fighting Trials of Position that can eventually propel the player to the rank of Khan. While this provides continuity for the player, the actual units fighting the Refusal War were separated by significant distance and time, and a single MechWarrior could not have participated in all of the campaign's missions. Nor did the missions correspond with any of the individuals who canonically ended the Refusal War as Khan. The Jade Falcon campaign diverges from established canon in the Iron Piston and Bronze Anvil missions, when it shows the Wolves losing the Battle of Broken Hope. In the expansion to MechWarrior 2: 31st Century Combat, Ghost Bear's Legacy puts the player in the role of a Clan Ghost Bear cadet about to take part in a Trial of Position for MechWarrior. Upon completion of the trial, the player is assigned to the 72nd Assault Trinary and sent for patrol duty on Mannedorf. The Ghost Bear's Legacy campaign revolves around the retrieval of the genetic legacies of the Clan, which were stolen on the planet Ardoz by BattleMechs with the Draconis Combine emblem. Upon discovering the 'mechs were stolen and kept as isorla by Clan Smoke Jaguar following a failed Combine raid on Jeanette, the 72nd Assault Trinary attempts to find evidence of Clan Smoke Jaguar's involvement. Following a victorious Trial of Possession against the Smoke Jaguars, it is discovered that the crusader faction of Clan Wolf is behind the theft of the genetic legacies. The campaign ends with the retrieval of both legacies, and the destruction of a Clan Wolf space station in retribution. If the player successfully accomplishes every mission without failure or cheating, they will be allowed to participate in further trials for the Bloodname of Tseng. Interlude - Raiders attack Ardoz, using OmniMechs painted with Draconis Combine insignia to steal genetic material of Clan founders Sandra Tseng and Hans Jorgensson from a storage unit that had been relocated there after devastating tectonic activity threatened the gene chapel on Porthos. Khan Aletha Kabrinski presents the player the Golden Claw as a sign of gratitude from the Clan. "Kurita raiders have staged near-constant raids against Clan Smoke Jaguar in recent years, which have prevented that Clan from effectively recovering from the heavy casualties it suffered on Tukayyid. Nova Cat raiders have begun harassing Smoke Jaguar forces recently as well, further hampering the Clan's attempts to rebuild. As a result, the Smoke Jaguars seem unlikely to challenge the Ghost Bears for leadership of the Clans. Clan Smoke Jaguar's weakness has filled its warriors with frustration and a fierce desire to prove they are still a force to be reckoned with - which makes the Jaguars a potentially dangerous enemy for their Clan brethren and Inner Sphere powers. Neither the Steel Vipers nor the Nova Cats have the strength to challenge the Ghost Bears, but both Clans are far from harmless. The Viper Khan, Perigard Zalman, has shown remarkable restraint while patiently rebuilding his Clan, which marks him as a canny and dangerous leader. Meanwhile, the Nova Cats continue to rebuild following their losses on Luthien and Tukayyid. Their weakened condition, however, has not prevented them from raiding worlds located above the truce line. In an attempt to weaken both the Ghost Bears and Smoke Jaguars to give themselves time to recover from the refusal war with Clan Jade Falcon, the then-Jade Wolves set into motion a complex plan, with layers of plots and misinformation blaming both Clan Smoke Jaguar and the forces of Phelan Kell's Clan Wolf in Exile for the theft of genetic material of the Clan Ghost Bear founders. The Ghost Bears, through a series of raids and information gathering missions, discovered the true nature of this deceit. Although discovering that the blame lie with the Jade Wolves and not Clan Smoke Jaguar, the relative weakness of Clan Smoke Jaguar has left that Clan open to raiding and perhaps a trial of absorption by Clan Ghost Bear. Whether the Ghost Bears take advantage of this opportunity or not is left to be seen." Note: The Mist Lynx is in the game, however it is not playable. Instead it makes a cameo in the Instant Action mode. 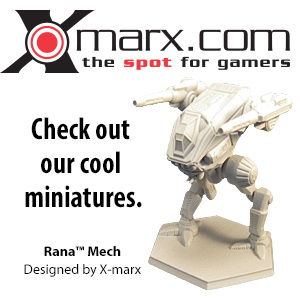 Note: The Inner Sphere mechs are playable in the Instant Action mode, but not the campaign. This page was last edited on 18 December 2018, at 18:26.